This question is truly the question of the hour. If you look at the entire metropolitan Nashville housing market as a whole, a 21% drop in homes sales over last year appears to be a bleak sign, but prices have remained steady over that same period. Any rational person could conclude that while prices are steady, they are sure to drop…and they would be correct. But, one really needs to look at the separate market segments within the entire metropolitan area to find the real story. There appears to be two market segments that are getting hurt the most: The first-time home/condo buyer market and the somewhat upwardly mobile middle class market. That’s right, the upper middle class, the same group who drove prices ever higher in Brentwood and Franklin, is the same group who is now hurting the most. To understand why this group can be so volatile, you have to look at their typical fear and greed driven spending habits. During growing economic times, the upper middle class tends to be the market leader in both discretionary and non-discretionary spending. They invest in stocks, real estate, and their own happiness, but during down times, they hide in the shade and weather the storm. This ‘wait and see’ attitude will always drive prices lower, there is simply no way around it as it creates an artificial inventory of homes. As this inventory builds, prices drop, fear grows, more middle class buyers become ‘wait and seers’, more inventory builds, and so on. It can become a vicious cycle that can kill an entire market segment. So what is the up side? 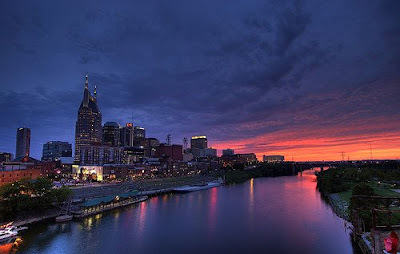 The up side is that the Nashville area is adding 5,000 – 6,000 new residents a month, salaries are still on the rise, rental rates are spiking upward, and most importantly, new construction starts are at a 20 year low. It is easy to discount the fact that new construction starts are way down, but keep in mind that burning off current inventory may be the most crucial part of turning a market around. So where is the Nashville real estate market? The answer is: in flux. We are in a market where luxury real estate is rising in price, affordable real estate is still hot, but where first time buyers and the middle class are losing money and demand is drying up. If you are a real estate investor, you should be actively looking for pre-foreclosures in desirable neighborhoods…rents are good and the market turnaround time appears to be in the 12-18 month range compared to more than 48 months in places like Florida and California.